We are so excited for this year's Open Studios Cornwall! With 329 artists, craftsmen and jewellers opening their doors of their studios to the public for nine whole days. We love the idea of discovering new artists throughout Cornwall, being inspired and having a sneak peek into their workspace. Follow the Os as you explore not only wonderful creative spaces, but gorgeous Cornish landscapes too. 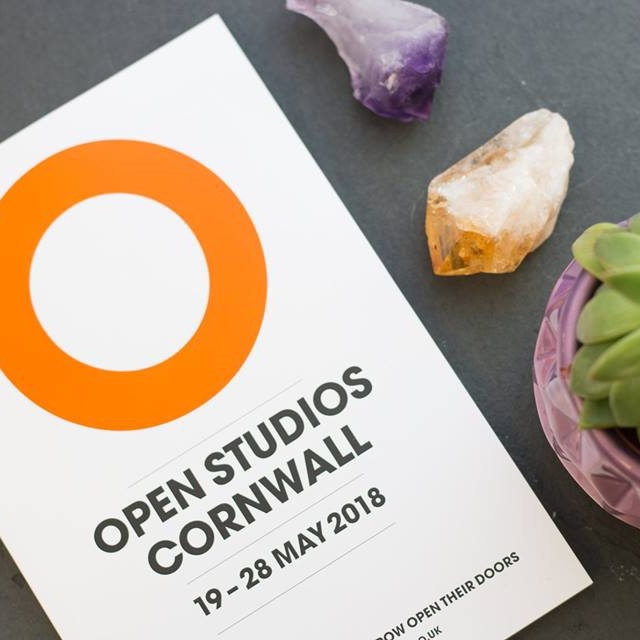 Today we chat to Jane Sutherland, the Director of Creative Skills and Cultivator all about Open Studios Cornwall, what you can expect from the event and how you can get involved. We are thrilled that our Buyer, Hayley will also be taking part in this year's event. Hayley designs stunning silver jewellery using beautiful gemstones and she will be opening her studio doors in Krowji - if you're nearby, make sure you go and say hi! Tell us how Open Studios started and the inspiration behind it? Open Studios was originated by three artists, but circumstances meant that they did not have the time to continue running the event. 14 years ago it was taken over by Creative Skills. Why do you think Cornwall makes a great location for Open Studios? With its historic harbours, verdant valleys and glorious gardens, Cornwall is positively brimming with beautiful places. 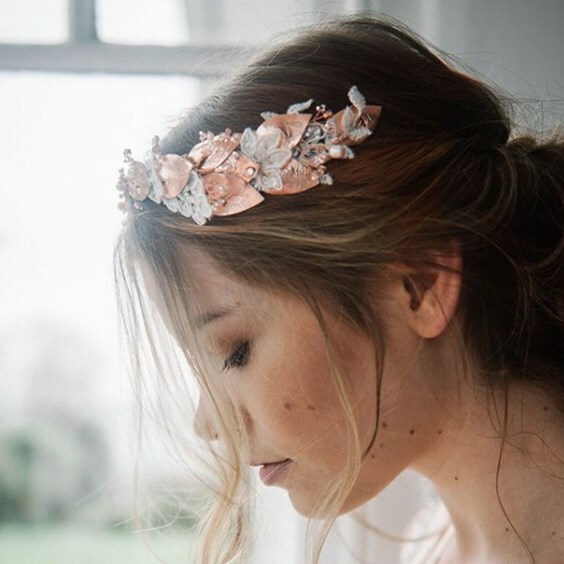 Its outstanding natural beauty offers the perfect setting for Cornish creatives to showcase their work and Open Studios enables us to explore both. There are so many studios across Cornwall, so how does the event work? Artists, designers and makers register to take part each Autumn. We then upload their information to our website and produce the guide, which is divided into West, Mid, North and East Cornwall. Within each section, artists are listed geographically then alphabetically. Each studio is clearly indicated by an orange O and you can visit as many as you like between Saturday 19th and Monday 28th May. You can either plan to visit a particular location and look up artists who are exhibiting in that area or visit a particular artist and find out who else is in their neighbourhood. Are there many Cornish jewellers opening their studios during the week? Open Studios Cornwall attracts an increasing number of jewellers each year, working in glass, silver, gold and precious stones, and this year is no exception. What other skillsets can we expect to see? 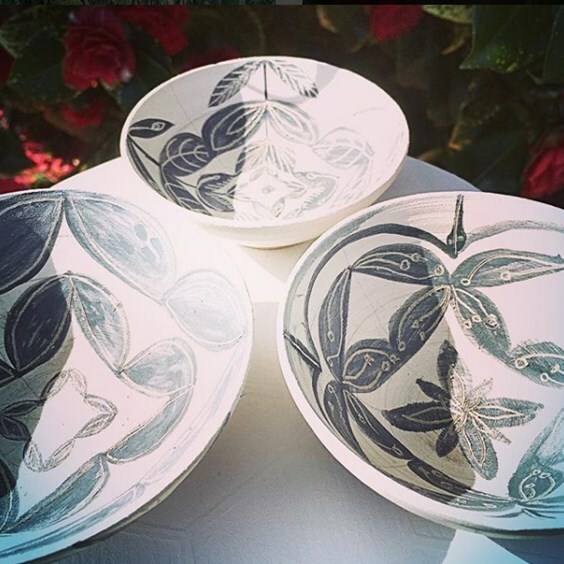 As well as a plethora of painters, printmakers and potters, Open Studios Cornwall reveals an extraordinary number of skills and crafts – from willow weaving, book binding and metal working to cabinet making, yarn spinning and botanical illustration. There’s something pretty special about makers allowing others into their creative spaces, why do you think this appeals to people? Not only does Open Studios provide us with an intimate glimpse of the creative process, it also takes us on a journey to previously unseen corners, enabling us to experience Cornwall from an entirely different perspective. 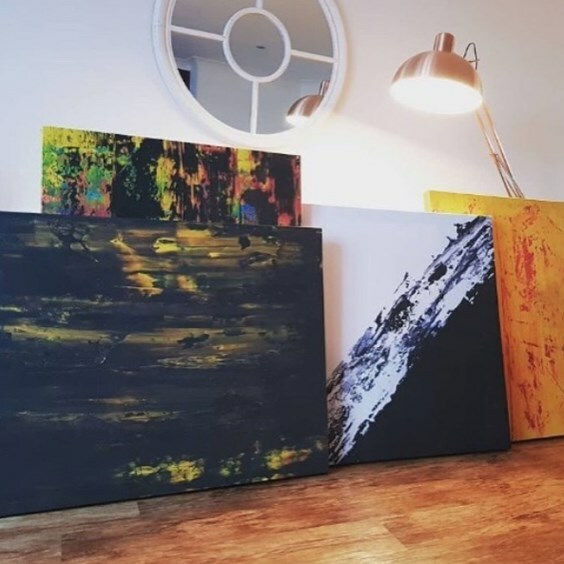 Open Studios is also about providing opportunities for art lovers to own original pieces, whether that be an exquisite, hand-printed card for £2, a luxurious throw for £200 or a magnificent canvas for £2000. 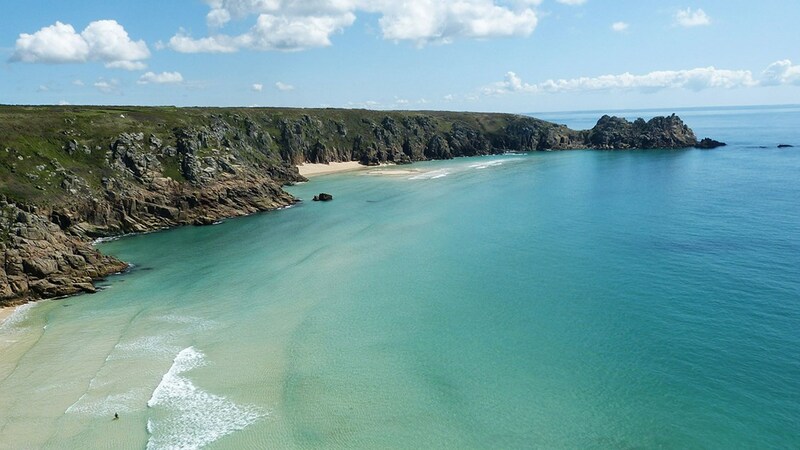 Visitors can open their eyes to new experiences whilst supporting Cornwall’s creative economy. After a pretty perfect weekend out and about in the sun with family, I'm preparing for Open Studios. Open Studios Cornwall is now on its fourteenth year, how has the event developed over the years? 47 artists and craftspeople exhibited in the first year that Creative Skills ran the event. This year there are 324! In 2014, we started to promote workshops run by the exhibiting artists and there were 14 of them in that first year. This year, there are 65 opportunities to take part in an artist-led workshop. Another recent introduction has been the ‘must visit’ page at the beginning of each geographical section of the catalogue. We ask two artists to suggest places that their visitors might like to visit whilst they are in their area. A visit to Open Studios could therefore include a walk to a local beach that inspires the artist or lunch in a café that they recommend. How do the artists and makers prepare for such a big event? There is always a great deal of hoovering and tidying up! Some artists look at all the work they have made and frame and mount what they would like to display; others make work specifically for the event. They also undertake the serious stuff – risk assessments to ensure that their visitors are safe. The artists are provided with catalogues to distribute as well as posters to display in local shops, pubs and community hubs to help spread the word about Open Studios. They then put out their orange O signs just before the opening day so that everyone can see that their studio is open. This is particularly important for those studios that are tucked away down winding lanes, or hidden away in back gardens. So, keep a look out for those orange Os – if you see one, there’s a participating artist somewhere nearby. Open Studios will be running workshops across the event, how can people get involved? 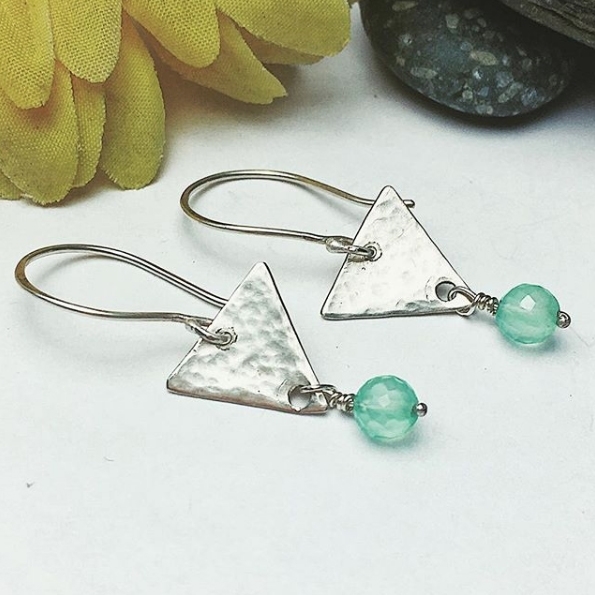 From Beadwork for Beginners, Handmade Books, Plein Air Printmaking and Stained Glass to Raku Ceramics, Writing Retreats, Millinery and Marbling, Open Studios Cornwall offers a whole host of workshops to try. To find out more, grab a guide or visit www.openstudioscornwall.co.uk. Running workshops is a great way to get the community together and try something new! What is the atmosphere like at these sessions? There’s always a lot of laughter and often tea and cake! Attending a workshop is a great way of learning a new skill from an expert and meeting people. Often workshops take place in a very beautiful setting and we always receive positive feedback from participants. Where can people pick up a brochure to plan which studios and artists they will visit? The Open Studios Cornwall 2018 guide is available from hundreds of locations across Cornwall or by ‘phoning Krowji on 01209 313200. Alternatively, you can bookmark www.openstudioscornwall.co.uk on your mobile phone and navigate the studios with the help of Google Maps. What does the future hold for Open Studios Cornwall? As long as there are artists in Cornwall, there will be people who want to visit them and find out more about their work so hopefully, Open Studios Cornwall will be around for a long time to come.